This abode, modeled after modestly sized Middle Earth inhabitants, is nothing less than enchanting. 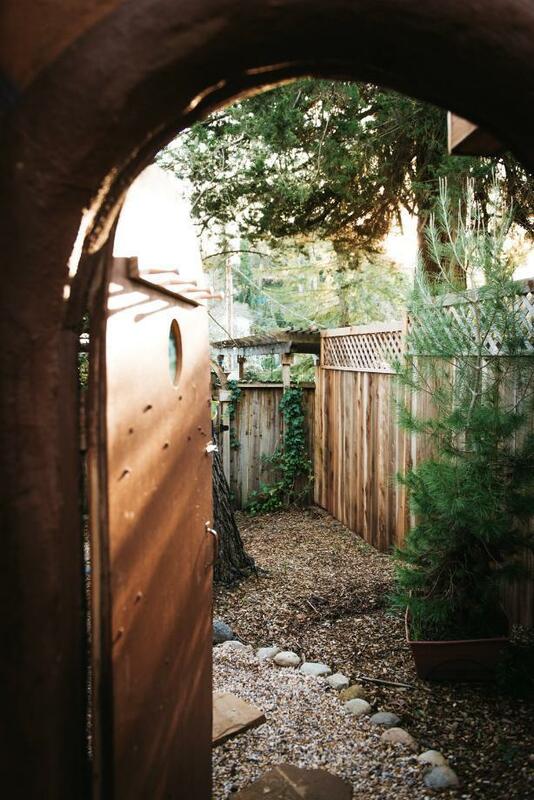 Hobbit Cobin, an "earth home" constructed solely from materials readily available in nature, sits quaintly behind an 1880s farmhouse in Petaluma. 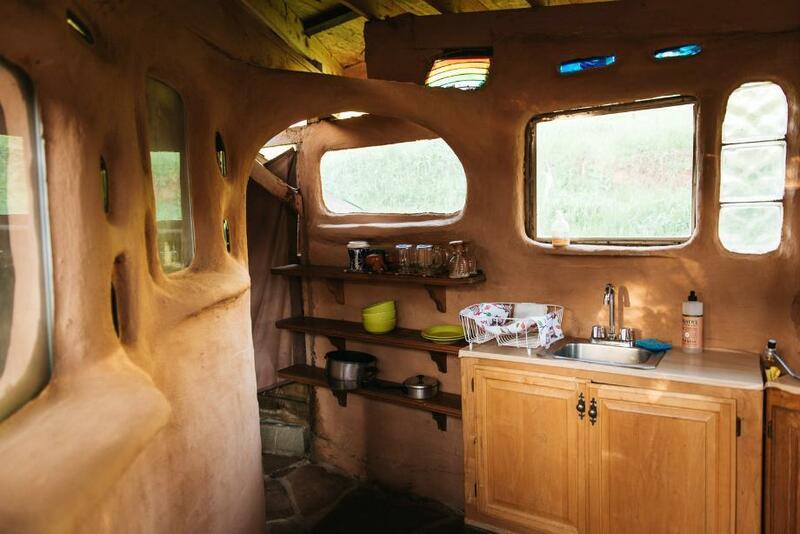 Owned and built by its warm host, Miguel, Hobbit Cobin gives new meaning to "back to the land." The roof and walls were built using sand and straw, which is naturally thermoregulating and keeps the house warm or cool depending on the season. The foundation of the house was created using straw-filled shipping pallets, then later covered by a packed-down blanket of rust-red dirt. 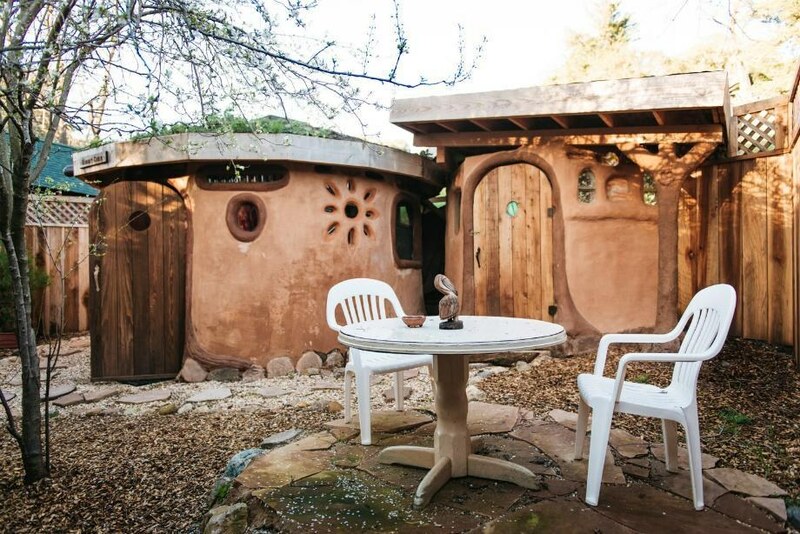 But the eco-chic construction doesn't end at Hobbit Cobin's architecture. Past the wooden front doors, each of the two visitors (maximum capacity for this joint) can nestle their toes in the earthen floor, a practice called "earthing," which Gwyneth Paltrow has been touting of late. The bedroom, complete with a king-size mattress and fine bedding, has incorporated a duct system that runs in parallel with the cabin's wood-fired oven to heat the room in the cooler months. Stained glass and LED lights add color to the otherwise earthen domicile. Resident goats keep the nearby pasture trimmed and fertilized. To reserve your R&R retreat in the Shire, book your stay ($140/night) through Hipcamp. 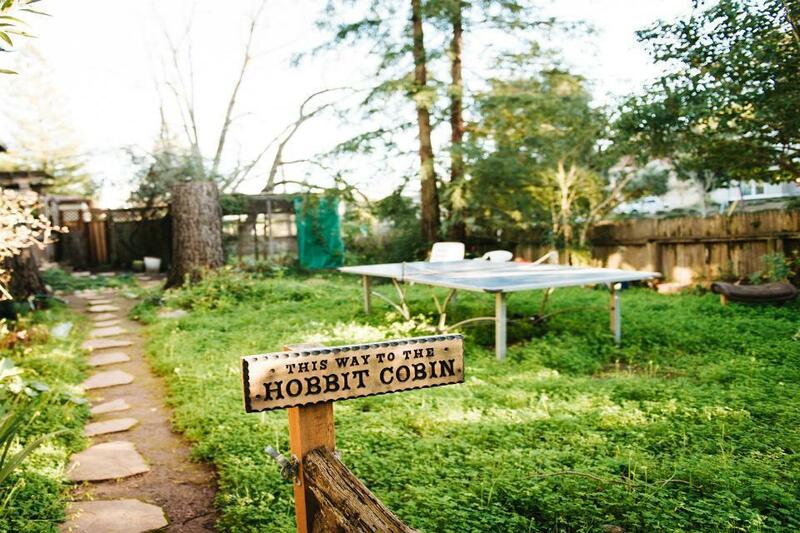 "This way to the Hobbit Cobin." Have second-breakfast on the foyer. Clean your dishes, don't be a cave troll. 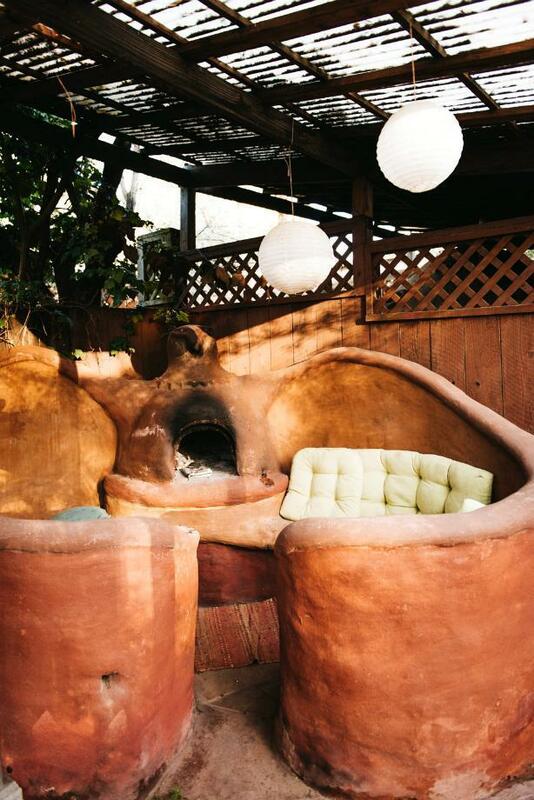 Terracotta furnishings have never looked more inviting or comfortable. "Thanks for stopping by, Middle Earthians! Come again soon!"